Revered as a chef throughout the culinary world, Simon Rogan has a brilliant reputation for artistry, innovation and excellence, and is renowned for the talent, vision and clarity of ethos he brings to his different restaurants. Simon is the chef and restaurateur of L'Enclume, the two-Michelin-star restaurant in Cumbria which has won The Good Food Guide's Best Restaurant for the past four years. He was a winner on BBC2's Great British Menu and a mentor on MasterChef, and is the winner of GQ's Chef of the Year award for 2018. Within the village of Cartmel, where he set up L'Enclume 16 years ago, there is also Rogan & Co, the relaxed neighbourhood restaurant; Aulis, a chef's table and development kitchen; and Our Farm, where the team select what to grow, when it is harvested and how it is prepared, allowing Simon to truly set a benchmark for the calibre of ingredients he uses. In London there is Roganic, a permanent Marylebone site inspired by the original two-year pop-up which provides a window into the Cartmel operation, and Aulis London, an eight-seater chef's table which provides a preview experience for dishes that might feature at Roganic. Simon is uniquely placed to write a definitive cookbook that changes the tenor of cookery publishing. 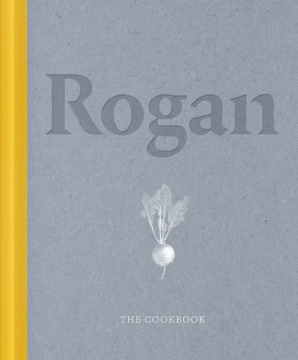 Here is a book that perfectly communicates his philosophy of taking farmed and foraged seasonal ingredients to create unforgettable dishes. Simon has led the way in showing that innovative cookery is at its best when using local ingredients with imagination and passion. His food is primal. And it's natural. But it's not rough or messy. It's beautifully refined and has transformed how we view locally sourced cuisine. Simon's book showcases recipes using beautiful ingredients that are accessible to people everywhere. It combines vibrant recipe pictures with photography that captures the life and landscapes of Our Farm in Cumbria. Breaking the boundaries of how people use their ingredients and cook their food, this will become the cookery book of the year.